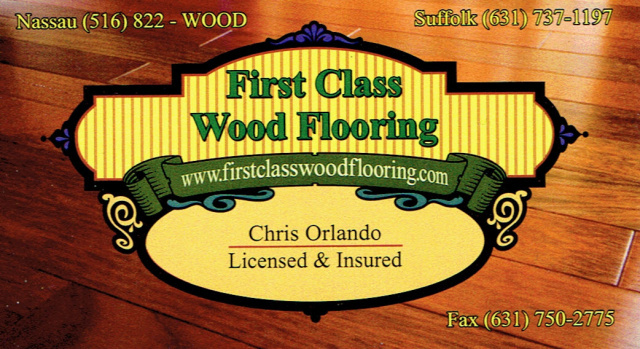 Long Island Flooring Magazine - Wood Floors - Why choose Wood? Wood flooring is without doubt the most popular choice when it comes to installing a new flooring option. Available in a wide range of hardwoods and softwoods, wood will last forever and needs little maintenance in order to keep its appeal and beauty. A modern addition to today's range of floors is laminate floors. Laminates have brought look-alike flooring options to consumers that may not be able to afford a real wood floor - and the good news is that they look great! Many people discover an old wood floor underneath old carpet and wonder whether they can restore it to its former glory. The answer is almost always "Yes", unless it is suffering from a serious rot problem or some form of boring beetle. Even then, it is always worth getting a second opinion from an expert before consigning your floor to the garbage tip. If cost is a prime factor in the choice between laminate or solid wood, consider the fact that there is a ready market in second-hand flooring. This is available from specialist dealers or individuals who can't spare the time and effort it takes to prepare an old wood floor. Nails may need to be removed and there may be a few bumps and dents in it - but if cost is an issue, don't overlook it. Another important issue you should consider when buying any new solid wood product is where it comes from. There are unfortunately suppliers who aren't too bothered whether their supplies are purchased from sustainable resources or not, so always look for a properly accredited supplier. In the US the Forest Stewardship Council (fscus.org) offers certification that consumers can trust when it comes to purchasing timber products. Some popular solid hardwood flooring are Oak, Cherry, Maple, Bamboo Flooring, Walnut, Beech and Ash. For each of these flooring options there are different grades of floor available. Grading refers to the quality of a floor with regard to its color and graining appearance. Sometimes what you see in the supplier's brochure isn't quite what you get when the product is laid. You should always make sure that you are viewing at the showroom is what you will get at home, but always remember that wood is a natural product and no two pieces will be the same - one of the beauties of natural wood floor.